In this story, Annie is born blind and learns to navigate the world through smell. She uses this talent in the kitchen, where her skills extend to creating meals that evoke fond memories for people. When a young man named Julian comes to her for a cure for his lethargy, it becomes clear that the solution to his problem isn’t the cooking but the cook herself. This book has a gentle, romanticized and playful writing style, its illustrations are bright, colourful and whimsical and the text is interwoven with illustrations. This would be a good book to read aloud to older children. The text is small, and there are a lot of words on each page, which might not hold the interest of younger children. The plot is about overcoming adversity and finding happiness and love, which would appeal to older children ages 4-8. Although the story is arguably a romanticized vision of blindness, this book teaches us that if we set our minds to it, we can all turn what we perceive as a weakness into a strength. The character Annie is the doer in this story, and is empowered not despite, but because of her blindness. She is offered Julian’s arm as a guide, but insists on walking on her own. Annie says it is precisely because she didn’t know that something was considered impossible that she was able to learn to do it. This is a powerful message for children to help nurture a positive sense of self and a positive attitude toward others. Chez Lanark Highlands Public Library nous avons une toute petite collection de livres Français pour les enfants et la jeunesse. En voici un. Ce livre fait partie de la série Notdog. Il y a ce chien intelligent mais, malheureusement, laid et ses humains John, Jocelyn et Agnes, nommées les inséparables, se trouvent en plein milieu d’un mystère. 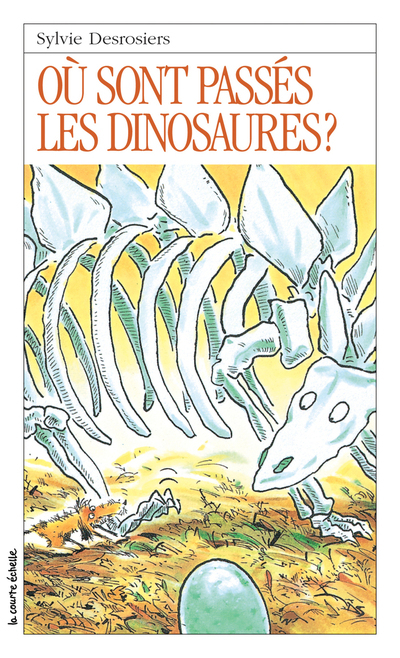 Un oeuf de dinosaure a disparu de l’exposition de paléontologie “Le sort des dinosaures”. Les détectives de douze ans doivent retrouver la relique et la personne qui l’a volé. Malgré leur jeunesse, les amis ont du succès mais pas sans les difficultés. La vocabulaire de ce livre n’est pas très difficile et les personnages sont intéressants. Je l’ai trouvé amusant et le recommande pour les étudiants. Qui a peur des fantômes? 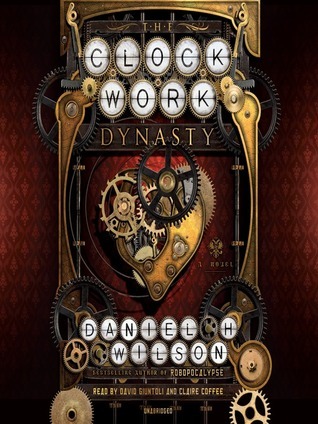 I apologize for posting a review for The Clockwork Dynasty twice. Here is another book of the fantasy genre for you to consider. This epic story of the decline of magic and the US government’s subsequent endeavor to reintroduce it (for less than altruistic reasons) is written in five parts. The POV is first person, epistolary which gives it a unique flavour. I was hooked right at the beginning of the book and read avidly until the beginning of part 3. The story just took a nosedive and it was like slogging through waist deep snow to keep reading. I thought about the reason for this sudden decline in interest and decided it was because the most interesting characters had little to no page time in this section. Perhaps it was meant to be dry and officious and the point was well taken but it dragged on for way too long. I was just about to pack it in and return the book to my local library when suddenly, toward the end of part 4, the two missing characters made a reappearance. The plot thickened, as they say, and it was again hard to put the book down, right up until the final page. Having said all that, the ending was much less than satisfying. So really, only 2.999 stars. This novel is a perfect blend of fantasy, sci-fi, steampunk and historical fiction. Daniel H. Wilson provides a history lesson spanning some two hundred years in the guise of a very entertaining read. 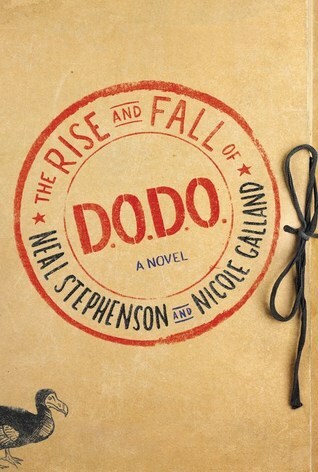 The fast paced page-turner seamlessly brings together figures from the era of Peter the Great and modern North American society as well as taking a miraculously congruous side trip to present day China with speculation about the real nature of the armies of clay soldiers found in mountain caves there.